President John Magufuli will likely ignore or sidestep lobbyists and power brokers commonly known to influence the formation of the cabinet, analysts say. Speaking to The Guardian in separate interviews yesterday in Dar es Salaam, Former Prime Minister Frederick Sumaye said the role of lobbyists in cabinet formation depends on the President himself. “These groups are there to safeguard their interests but it depends on the President, if he is strong he will not allow himself to be influenced in his decisions,” Sumaye said. According to him, it is hard to predict whether President John Magufuli can be influenced by the lobbyists and power brokers but; “the way I know him, he cannot be influenced easily,” maintained the former PM. However, he was quick to intone that it is difficult to avoid all influences in politics because the president may have people who played a major role in his victory. “What I see from President Magufuli is political influence but not persuasion from wealthy people,” he said. 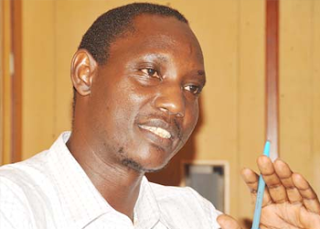 A Senior Lecturer at the University of Dar es Salaam (UDSM), Dr Bashiru Ali was of the view that unlike former presidents, with exception to Father of the Nation Julius Nyerere, President Magufuli has a chance to appoint cabinet ministers without being influenced by any person. Bashiru noted that the level of education alone is not enough to qualify one to become a cabinet minister but rather, education should go together with integrity. “President Magufuli is supposed to learn from former leaders the good things they have done for the country and leave issues that are not beneficial to the nation,” he said. According to him, Dr Magufuli was endorsed as CCM presidential candidate amid divisions within the party and as such, there were no groups that can claim to have supported him in his victory. The don said President Magufuli has taken over government while the country is faced with a number of challenges such as youth unemployment and the Zanzibar political stand-off. “These challenges will force him to appoint a team of cabinet ministers who will help him address the challenges and defend the rights of the poor,” he said. Dr Magdalena Ngaiza of the University of Dar es Salaam (Institute of Development Studies) said power brokers will have no any influence on the fifth phase government because the President has already demonstrated his unwavering stand. “The President will appoint cabinet ministers who will support him achieve his goal of transforming the country,” she said. “The president is looking for people who are interested in the transformation of the country so that he can work with them for the interest of the nation,” she added. “Although there are some people who wish their interests to be safeguarded President Magufuli is above such influence, he has showed his stand and he wants to build his party,” Dr Ngaiza summed up. Senior lecturer at the University of Dar es Salaam Dr Haji Semboja said lobbyists were there even during the first phase government and so it is difficult to avoid them even to date. He said that previous governments used to appoint the ministers and thereafter allocate them ministries; “but this time around it is different, the President and his team are first working on the number of ministries the country needs and then they will appoint the ministers,” he said. According to him President Magufuli and his Vice President Samia Suluhu are independent thus they will appoint ministers who will help them attain their goals.